With spectacular ocean views from every luxurious suite, authentic home-cooked meals and first-class amenities, Villa Pacifico is the perfect spot to enjoy your Oaxacan adventure! Stroll along beautiful beaches, take a dip in our sparkling swimming pools, or enjoy fresh daiquiris and authentic margaritas in the open-air palapa bar. 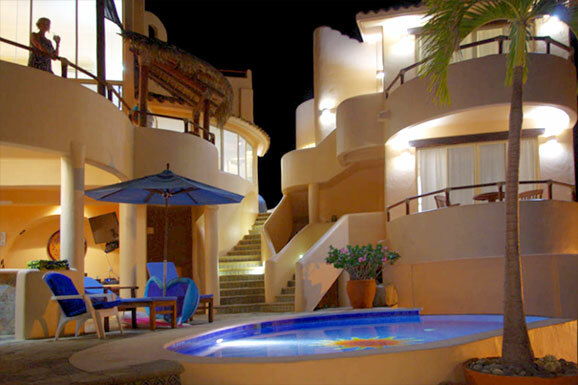 "...I'm still in awe over how great the villa was and how the staff took care of us. We have been to a few places in Mexico, and I would dare say this was absolutely the best for the R & R that we were looking for..."